In the post below, Professors Peter Brooks and John Willoughby, from Doctors for the Environment Australia, say the recent publication of The Adani Files by leading environmental legal groups lays out the comprehensive case against the mine going ahead, on legal, environmental, governance and health grounds. 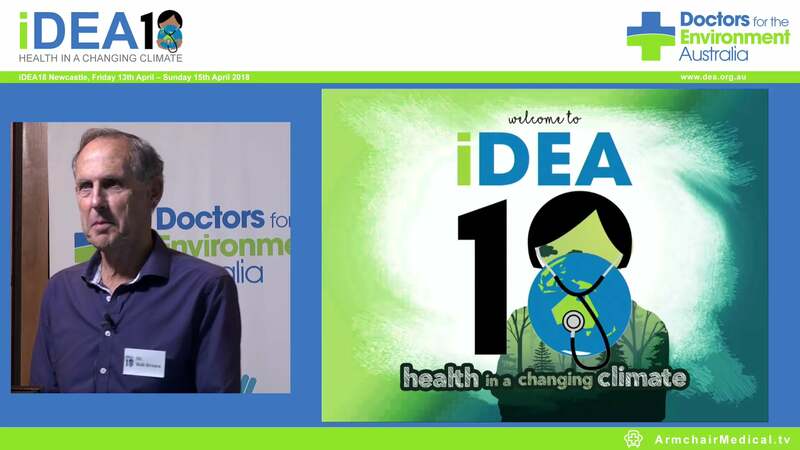 They say it is incumbent on health professionals, particularly doctors who are seeing the influence of pollution and global warming on health already, to alert their communities to the risks of the mine and lobby the Australian and Queensland governments to withdraw their support. Their call comes as a delegation of Australians, led by businessman, conservationist and former Howard Government adviser Geoff Cousins, has travelled to India to confront Adani over the mine, urging it to abandon the project and protect the environment. The Sydney Morning Herald reported that the group was also on Thursday delivering a letter signed by 90 prominent Australians against the project. The signatories include Indigenous custodians, former cricket champions Ian and Greg Chappell and the band Midnight Oil. A trade delegation led by Queensland Premier Annastacia Palaszczuk was also meeting on Thursday with Adani in India ahead of the company’s decision, due in April, on the Carmichael project. Croakey readers may also be interested to read a report released on Wednesday by the United States’ Medical Society Consortium on Climate & Health, which represents more than half of the country’s doctors, on how climate change is already harming Americans’ health. What responsibility do we as doctors and other health professionals have when it comes to massive public funding of the proposed Adani coalmine in Queensland? Doctors for the Environment Australia have already protested the plans for the coalmine on the grounds of human and environmental health impacts. This mine will ultimately contribute significant harm to many of our patients and to peoples worldwide, by causing damage to the global environment through additional global warming. Beyond its global effects, it will destroy the environment around the Galilee Basin, for it is inconceivable that it will not adversely affect ground water that will then seep into the alluvial basin – the artesian water on which inland Australia depends so much. Very likely it will also adversely impact the Great Barrier Reef and the tourism that flows from it. However, Adani itself constitutes a ‘bag of roosters’ (to borrow from our national treasure, cartoonist Michael Leunig) – a collection of loosely inter-connected, exploitative entities that will be uncontrollable from the viewpoint of Australian environmental regulators and the Taxation Office. Once released, the Australian entity will escape! Environmental Justice Australia and United States-based environmental law non-profit EarthJustice have recently published the damning findings of their international investigation into the global legal compliance record of the Adani Group. The comprehensive investigation, published as The Adani Files (adanifiles.com.au), provides a litany of stories of pollution, failed clean-ups of damaged environments, and allegations of corruption and of abuse of workers. Among those documented in The Adani Files is the 2011 case where an unseaworthy Adani coal ship sank off the coast of Mumbai, spilling oil and more than 60,000 metric tonnes of coal into the ocean, which destroyed mangroves, polluted beaches, and caused serious damage to the local marine environment and tourism industry. In 2016 Adani and others were found liable for the spill and for failing to clean it up, and were fined nearly $1 million. In another case in the coastal town of Mundra in India, Adani operates one of the world’s largest coal-fired power plants. Investigations of the Mundra project by Indian officials, independent committees and documentary film crews reveal a record of environmental destruction, harm to local communities, and a failure to comply with environmental regulation and development permits. There is also extensive evidence documenting the complex web of companies that make up Adani (many based in tax-free havens such as the Cayman Islands) which could make it extremely difficult to recoup any monies from the company in the future let alone ensure that reparation of the mine will be carried out. With these data, it seems extraordinary that the Australian Government is even considering investing our tax dollars in Adani when they are desperately needed for health care and education on which we can build our future. The Queensland government strongly supports the Adani venture and the Australian Government could even lend $1 billion to Adani to assist them to open the coalmine. Given the ‘web’ that is Adani, how could they ensure the loan will be repaid? How can and will they ensure appropriate oversight of the project, particularly with responsibilities for accidents and rehabilitation? And, if 11 major banks around the world have ruled out funding Adani, why should we step in? At a time of major pressure on health funding and services, why would any government tie up public funds to shore up the fossil fuel industry, putting increased risk to the health of Australians, particularly our very vulnerable young, the elderly and the financially disadvantaged. We know that the most important impact of climate change is on health – the health of our patients as well as the health of the planet. GPs at the forefront of our health care system see the influence of pollution and global warming already – whether it is respiratory disease, vascular disease, heat stroke, dehydration or injuries caused by storms, bushfires, flooding or other extreme weather events. Additionally, they see the psychological stress experienced in the aftermath of these events. ecosystem-mediated health effects with altered infectious disease risk, reduced food yields (undernutrition, stunting), depletion of natural medicines, and impacts on mental health (personal, community). In the face of such risks, proceeding with the Adani project is madness. We are calling on all Australians who care about ethical corporate behaviour and the health of our society to take a stand about this project and this company. We are particularly asking doctors to think about the impact that the Adani mine will have on Australia and, ultimately, on patients – and to communicate your concern to your local MPs and to your patients. 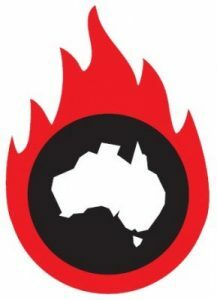 Encourage them and your peers to visit the DEA website and see, for example, the Climate Change Health Fact Sheets at https://www.dea.org.au/climate-change-and-health-in-australia-fact-sheets. As doctors again we have an educational role to play with patients and can at least refer them to sensible data available on the ‘web’. Who knows – broader awareness of the health issues might assist in keeping the rooster in its bag?